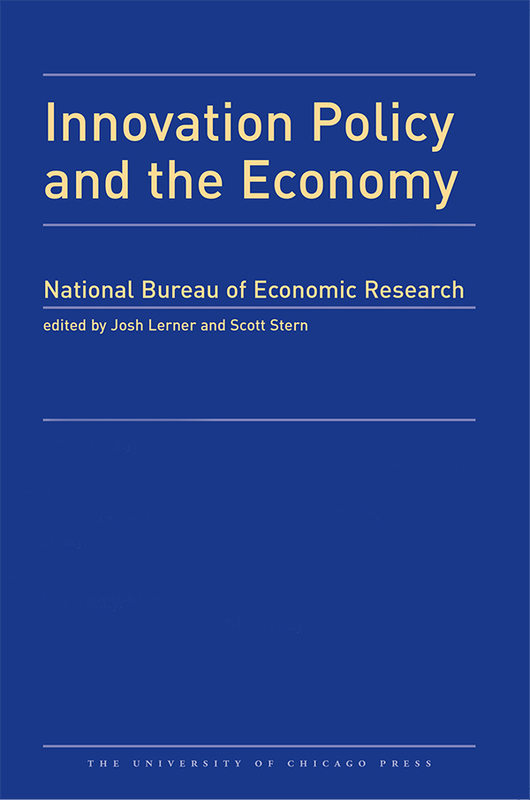 The papers in the sixteenth volume of the National Bureau of Economic Research’s Innovation Policy and the Economy offer insights into the changing landscape of innovation by highlighting recent developments in the financing of innovation and entrepreneurship and in the economics of innovation and intellectual property. The first chapter, by Ramana Nanda and Matthew Rhodes-Kropf, explores the process of experimentation in the context of financing of technology start-ups by venture capitalists. The second, by Yael Hochberg, also analyzes the role of entrepreneurial experimentation by systematically examining the rise of start-up accelerators. The third chapter, by Heidi Williams, studies the relationship between the strength of intellectual property rights and innovation. The fourth paper, by Fiona Scott Morton and Carl Shapiro discusses recent changes to the patent system and whether they align the rewards from intellectual property with the marginal contributions made by innovators and other stakeholders. The final chapter, by Karim Lakhani and Kevin Boudreau, focuses on the potential use of field innovation experiments and contests to inform innovation policy and management. Together, these essays continue to highlight the importance of economic theory and empirical analysis in innovation policy research.